For many people, the everyday hassles of work take a serious toll. Stress can cause hypertension, heart disease, depression, and obesity. And, let’s be honest, being constantly stressed just isn’t that much fun. Darta Systems has created a heavy-duty solution, in a very small package: Emvio. Recently, the market for fitness-trackers has exploded, and there are even a few products that claim to help with stress. But Emvio is the first watch that monitors both daily activity and stress levels. Emvio utilizes the latest technology and bio-algorithms to provide accurate data about someone’s emotional state. In the heat of the moment, an Emvio wearer will get a notification that his or her stress level is reaching dangerous levels. It gives an opportunity to take a deep breath. 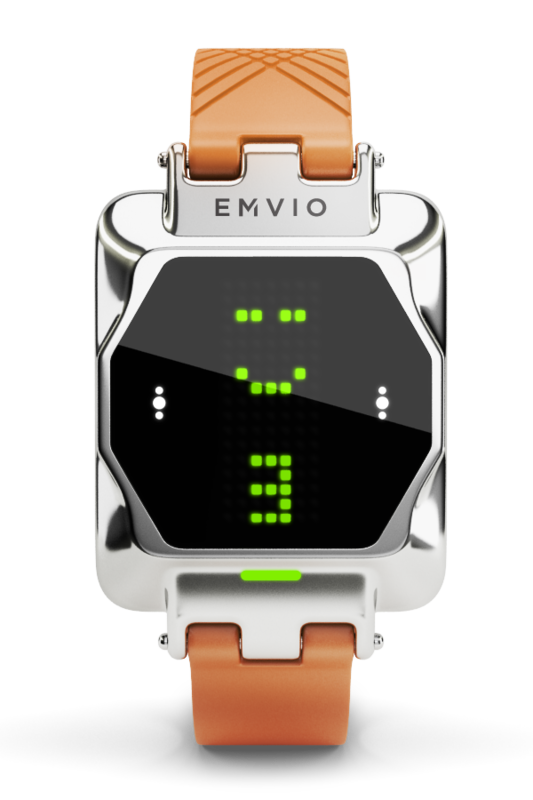 Along with the Emvio App, this sleek watch can analyze daily stressors. Some of these events, like sitting in traffic, meetings with the boss, or family conflicts, are fairly obvious. But certain people and circumstances that seem to be only background noise can cause cumulative stress - and unless you have the data to reflect on, you’d never know it. The connection between rising heart rates and stress is nothing new, but researchers at Darta Systems took it to the next level. They have developed their proprietary Life Stress Index that uses a single parameter - heart rate - to measure stress. Even though Emvio has an ultra-sensitive optical pulse sensor, it’s unnecessary to sit completely still in order for the watch to take a reading. Emvio combines superior hardware and the newest research in biometrics in one breakaway product that makes stress management is simpler and easier. Emvio will help anyone who works in teams or in a typical office setting to control their stress for better decision making. It can also remind users to keep an eye on their reaction to adversity and the small hassles that add up as the day goes on. For those wanting to improve their fitness, Emvio provides more accurate data about calories burned and activity level. And in the end, everyone can use a little help improving relationships with people. Emvio will remind wearers to take a minute to think about reactions to others. Over time, it will be possible for an Emvio user to avoid or prepare for people who cause them stress and negativity.